This autumn, we are offering a chance for you to learn (or re-learn!) 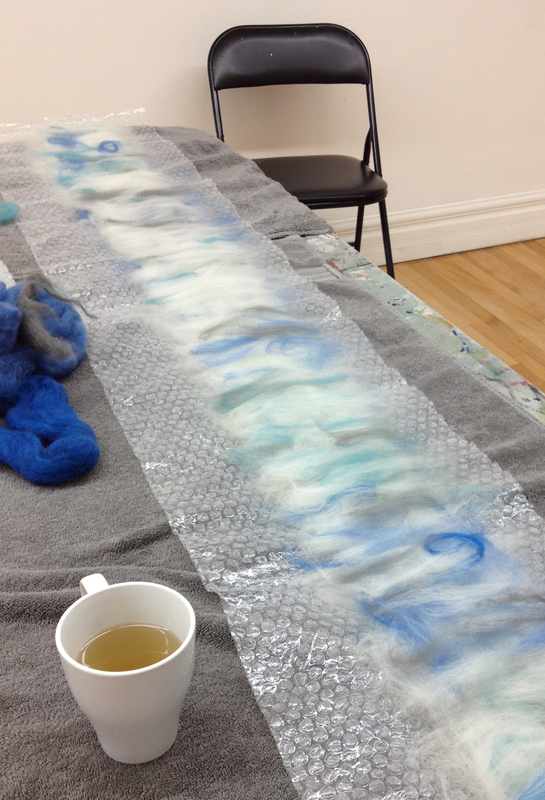 about the process of making felt fabric from loose wool roving. 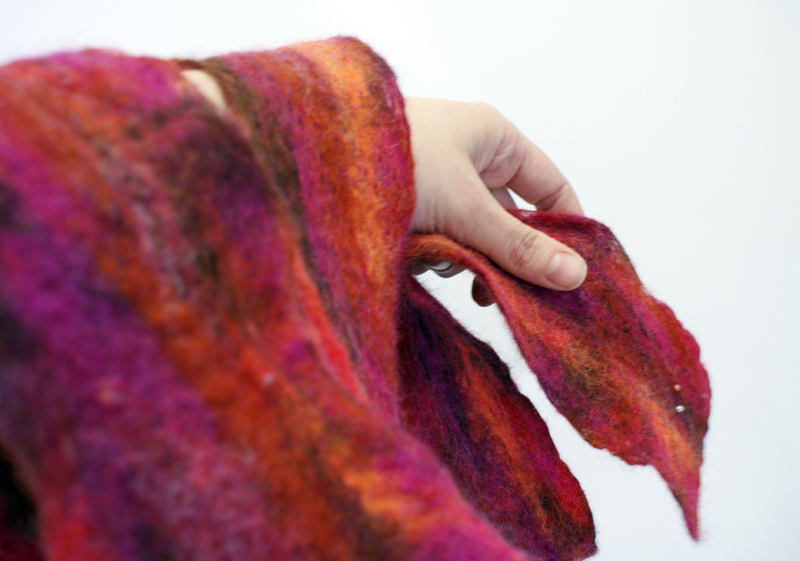 In this one-afternoon class (about 2 hours) each student will learn the process of felt-making, and produce their own colourful, soft merino wool scarf. 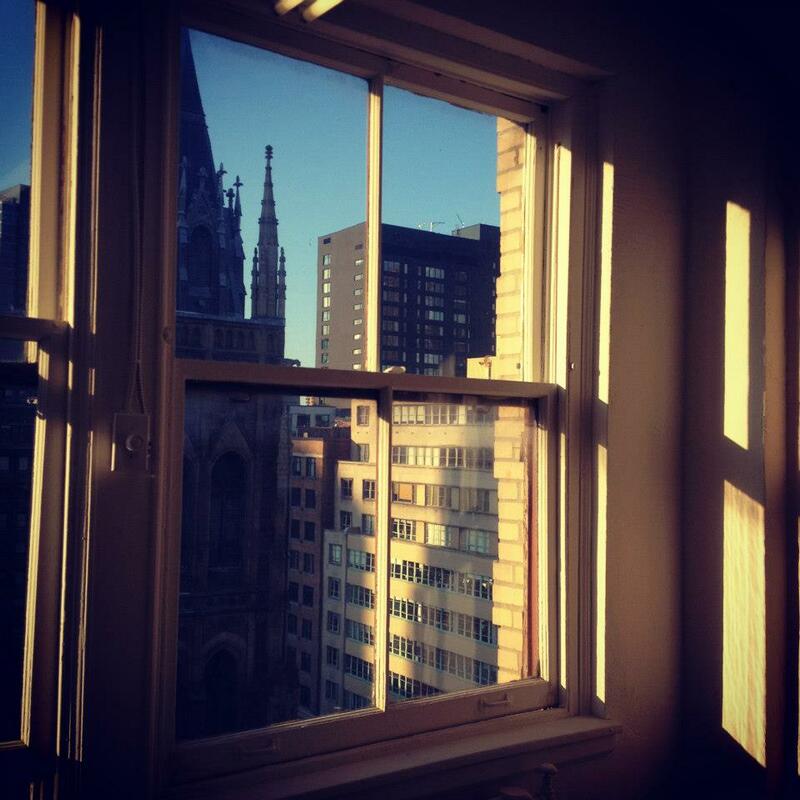 Afternoon classes are being offered Sunday October 27, Sunday November 10, or Sunday November 17 from 3-5pm each day. Felt is an amazing material. Real felt is made from wool or other animal fibres. It is compressed, agitated, boiled, and manipulated until it becomes a single piece of fabric. Felt was developed in every culture where herding animals were kept, and used not only for clothing but for housing and industrial purposes too. 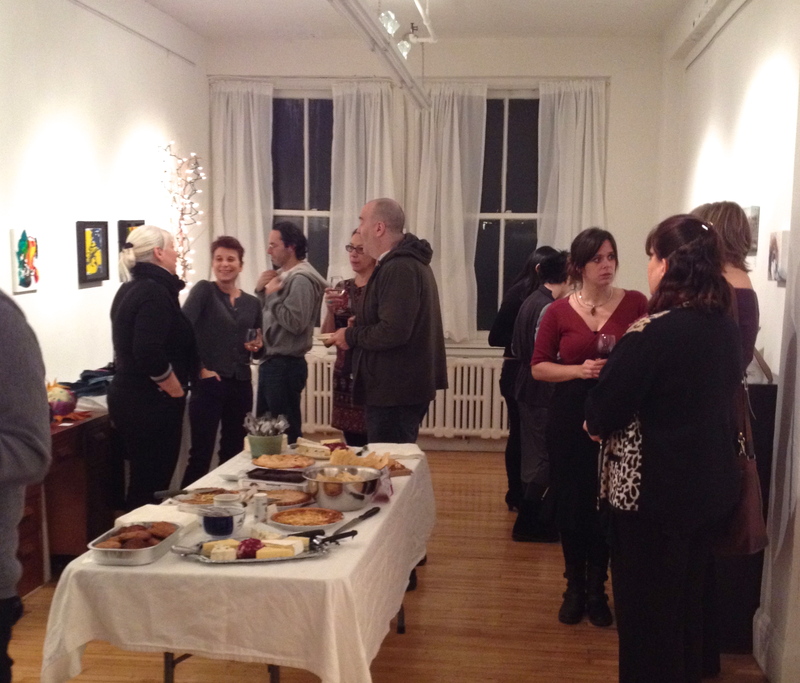 Class instructor Natasha Henderson is a visual artist, painter, crafter of wool scarves and other wool objects. She loves making things by hand and teaching others how to do so, too. Join in the fun in a supportive environment. Class is mostly offered in English, however, Natasha has a rudimentary knowledge of French, and Francophone students have enjoyed her classes. Cost (materials included) is $50 per class. In time for winter, for holiday giving, and for the relaxation of craft… here is an opportunity to learn about feltmaking, while making a beautiful creation of your own that is a unique piece of usable fashion. 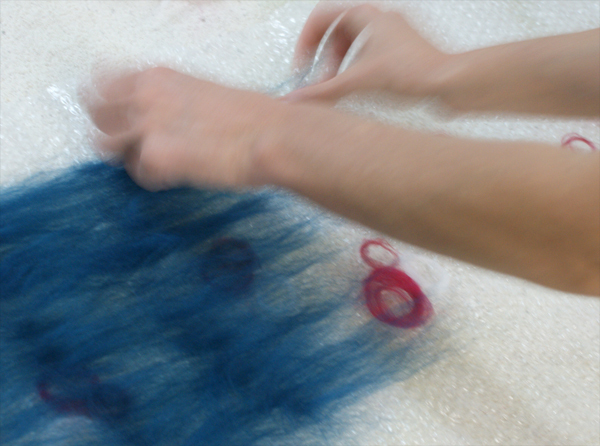 In this workshop, students will learn the technique of making felt fabric from loose wool roving. They will make their own beautiful scarf out of merino wool. Merino is insulating, long-lasting, and buttery-soft. The ultimate in fibre! All materials and instruction (and fun) is provided. 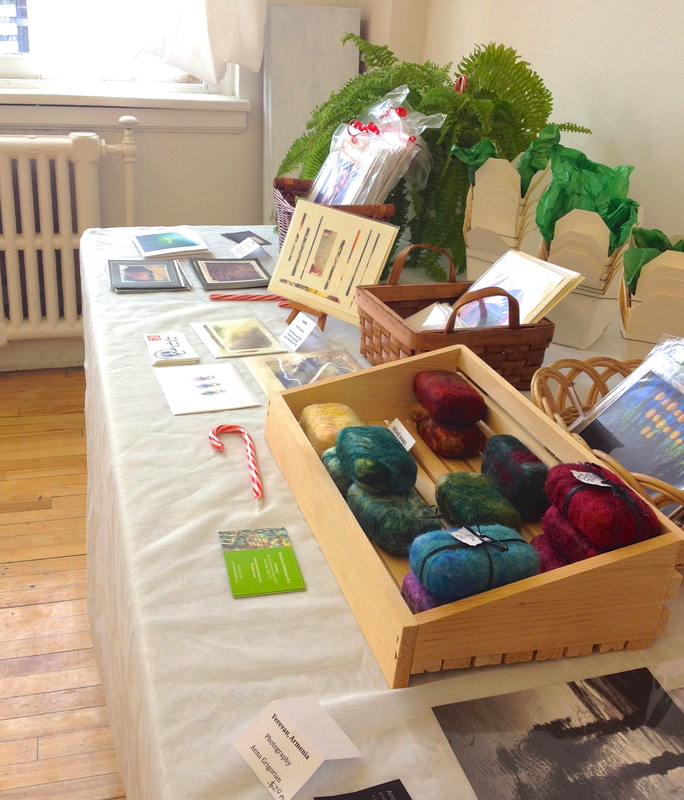 Instructor Natasha Henderson is a visual artist, painter, crafter of wool scarves and other wool objects. She loves making things by hand and teaching others how to do so, too. 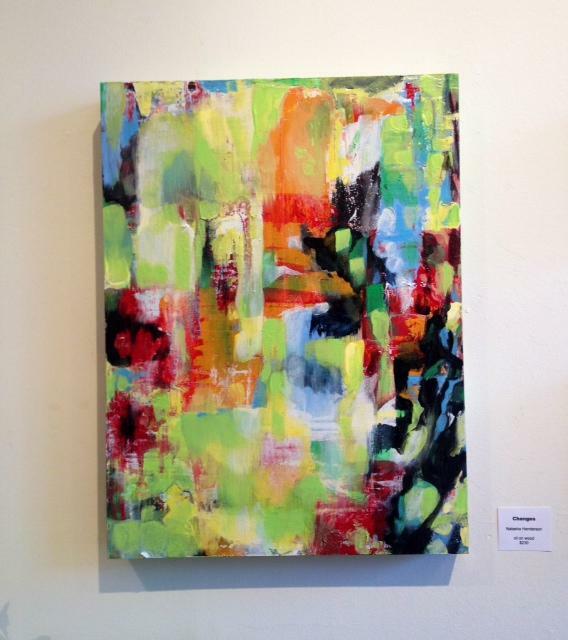 She has years of experience teaching workshops in painting, felt-making, and other crafts. Her work (including felt scarves) is shown and sold in galleries and shops across Canada. Workshop is one evening: December 12, 7-9pm $50, with everything included! There will be different colours of wool, so you have a choice to be as vibrant or subtle with your colours as you choose. Located in Fleurbain at 460 St Catherine West, Suite #917, H3B 1A7, Montreal. 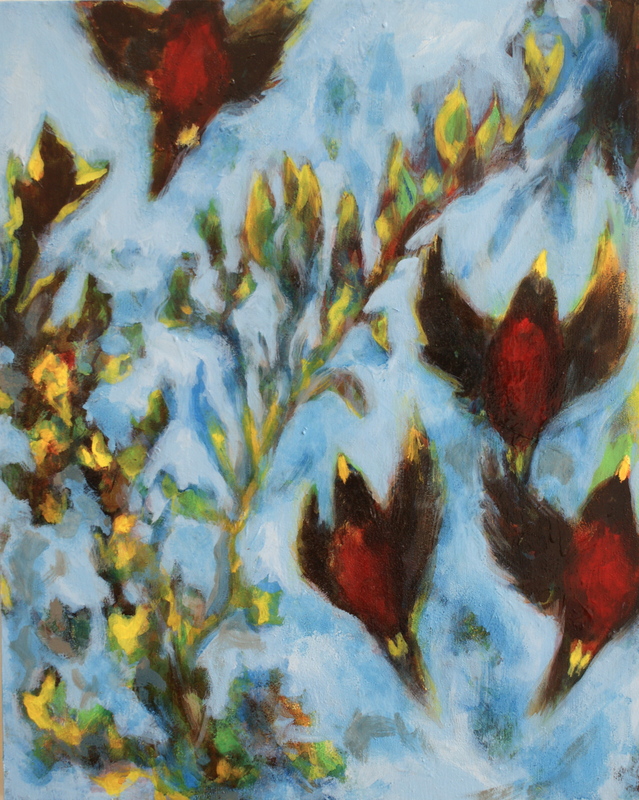 On now at Fleurbain until November 30 is a selection of works by painter Natasha Henderson. You might know me (Natasha) from Fleurbain. Perhaps you know me from this blog, where I write about art, life, gardening, crafts, DIY, and more. Maybe you have taken a felt-making workshop with me, or joined in a drop-in-painting session in Fleurbain. What you might not know is that I have been a professionally exhibiting painter since 1998. I moved to Montreal from British Columbia in 2007. Since then, I have had a few studio spaces, from home-based ones, to massive industrial ones, to small corners in shared spaces. All the time, I have been painting. Now, I am opting to exhibit a few of my absolute favourite pieces that are still in my collection. Granted there are others that I would have loved to include, but you can pick out your faves from my website, if you would like. Here is a spin around the exhibition. If you can make it in person, we are open Tuesdays to Thursdays, 3-6pm, and Saturday and Sunday from noon to 6pm. Hope to see you! Fleurbain is located at 460 St Catherine West, unit 917 in downtown Montreal. Very close to Place des Arts and McGill metros. Open Tuesday-Thursday 3-6, and Saturday-Sunday 12-6. We are happy to announce the next fall felt-making workshop: Make your own felt wool scarf! In this workshop, students will learn about the technique of making felt fabric from loose wool roving. They will make their own beautiful scarf out of wool. All materials and instruction (and fun) will be provided! Instructor Natasha Henderson is a visual artist, painter, crafter of wool scarves, puppets, and cat-toys. She loves making things by hand and teaching others how to do so, too. She has years of experience teaching workshops in painting, felt-making, and other crafts. Her work (including felt scarves) is sold in galleries and shops across Canada. Workshop is on Sunday October 14, 1-3:30pm $45, all inclusive. 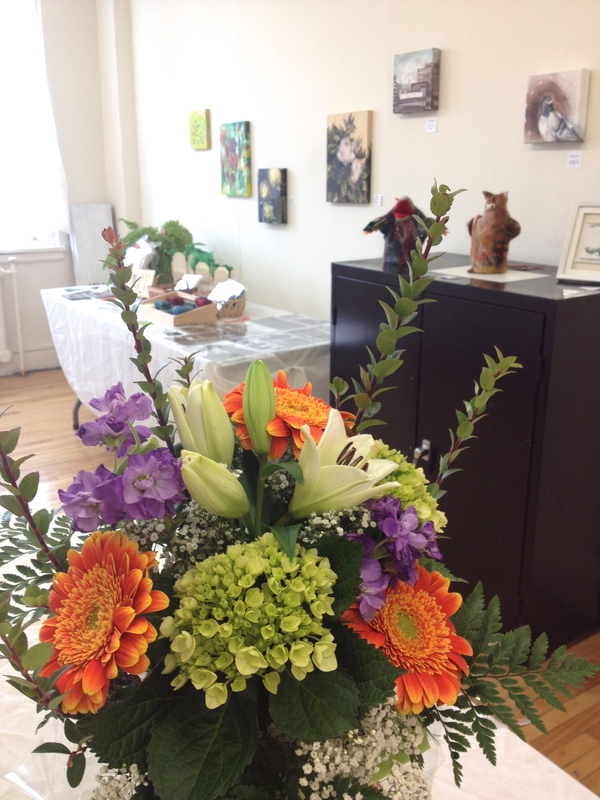 Fleurbain is at 460 St Catherine West, Suite #917, H3B 1A7, Montreal.